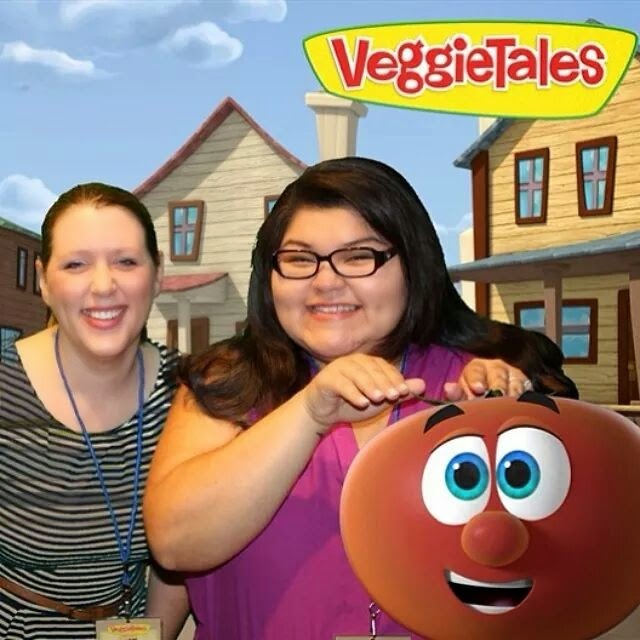 Ruby of GrowingUpBlackxican.com and I at VeggieTales Day! 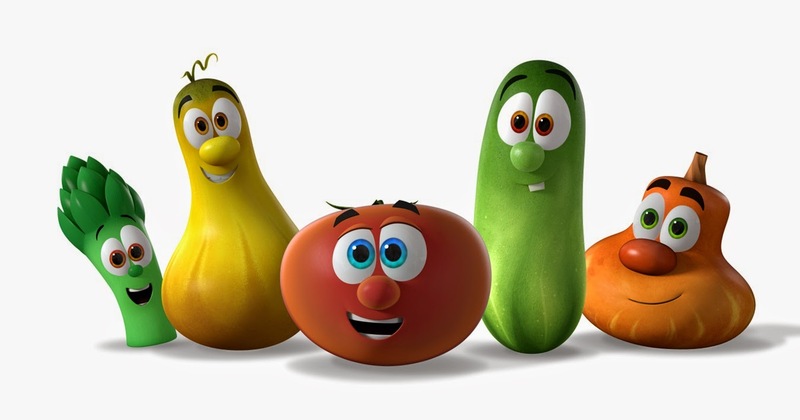 If you know anything about the VeggieTales series of movies for kids that teach Biblical lessons in a way that doesn't come off preachy (and is totally fun in the process), you probably know that the characters have been around for years -- 20 in fact. But there are a few things that even I, a pretty dedicated fan -- didn't know. 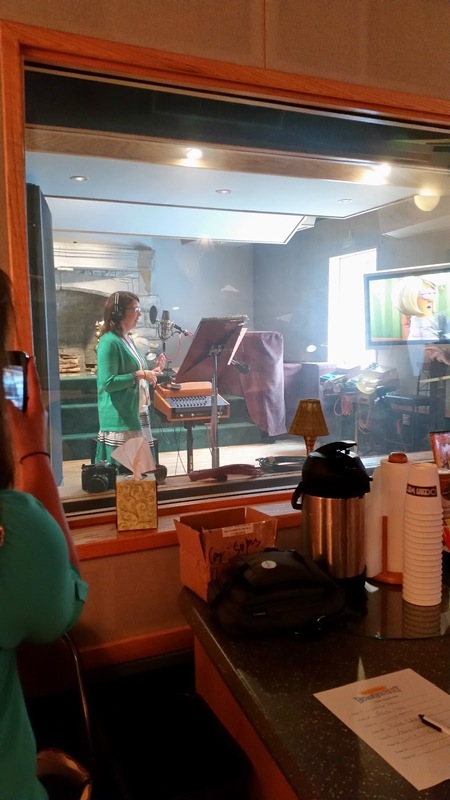 Many of these "secrets" were revealed to me at a recent blogger event in Nashville that took place in the studios where all the magic happens. 1. Storyboarding takes a long, long, long time. A 40+ minute VeggieTales movie takes thousands of storyboard scenes to get a good idea of the storyline. In fact, the talented people that do this process love illustrating, so they probably don't think of it as a big deal at all. When Frankie "Frak" Franco III showed us the ins and outs of sketching a Bob (or Larry), I was amazed at how effortless he made it seem. I had to snag one of his drawings to take home to my son, a budding illustrator who adores comics, complete with Frankie's signature! Mike, sitting at a little desk. 3. VeggieTales is now officially "binge-watching" friendly. We have known about Netflix's decision to stream the shows for some time. In fact, we pretty much scrapped the idea of letting the kids use DVD's as coasters in lieu of the damage-free, available forever, digital version of the films. Netflix has recently signed a deal with the Big Idea Studios and Dreamworks (the new parent company of the project) to put together a series of 11-minute episodes for a new show called VeggieTales In the House. This new show puts the emphasis on the life of the veggies, as they navigate the insides of a regular-sized house. This show was exciting to learn about, as it incorporates some cartoon styles we haven't seen in awhile. It's like The Littles... without the scary big people. 4. The sound process is scary. 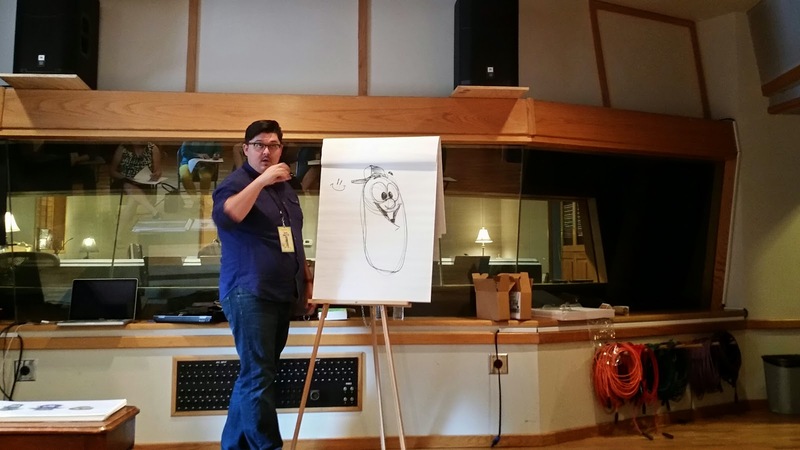 For most cartoons, the voices are recorded first, then the animation is put in place. In some cases, however, the sound can be out of place after it's all put together, and needs to be re-recorded. For the voice actors who need to redo the audio, that means they have to watch the film and try to coordinate the sound with the moving lips of a vegetable. 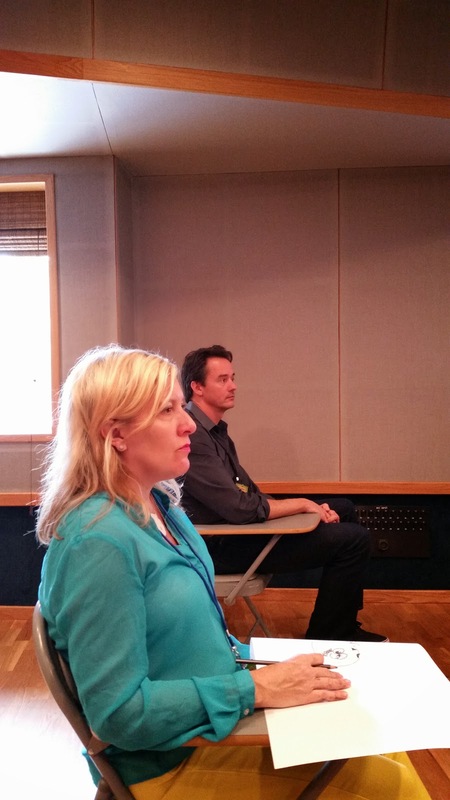 This is not an easy task, as I found out; we were allowed to try out a scene with voice-overs in the studio. I did OK, but following the mouth of a veggie is not easy! One of the bloggers getting her "voice over" on. 5. The folks that work there are super, duper talented. 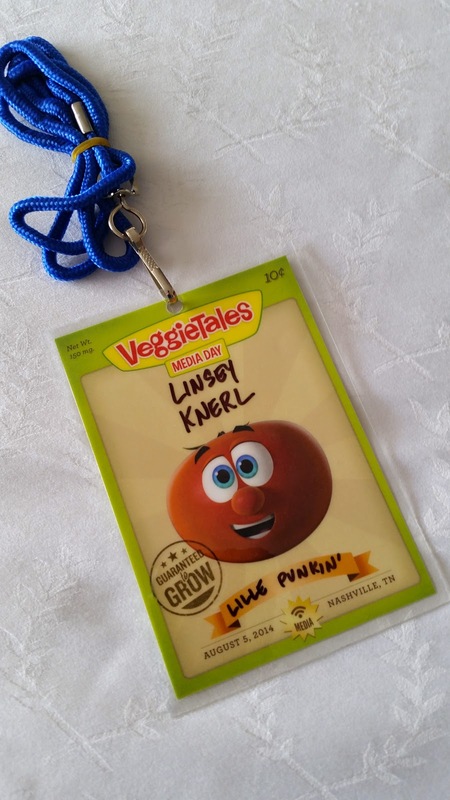 If you thought the cast and crew of the VeggieTales movies were just made up of Phil Vischer (who rocks), Mike (who also rocks), and some unknowns, you are mistaken. We had the joy of meeting the team that does everything from illustration to sound to promotion to editing. These folks are super passionate about what they do, and they bring the kind of skill and expertise you'll find behind shows in all genres (such as the amazingly talented Doug TenNapel, below, who was brought on for the In the House production.) Is it any surprise that the show continues to get laughs and bring joy to families from all parts of the world? So, now that you know a bit more about one of my favorite brands in kids' entertainment, let me share a few exciting new developments with you. Beauty and the Beet, with Kellie Pickler as an adorable southern Sweet Potato is out in October. Be sure to check out this quick one-question interview with her from the event! Celery Night Fever is out now! This disco-inspired tale of forgiveness stars Terry Crews from Brooklyn Nine-Nine fame. He plays the perfect gruff onion set to take over the world! 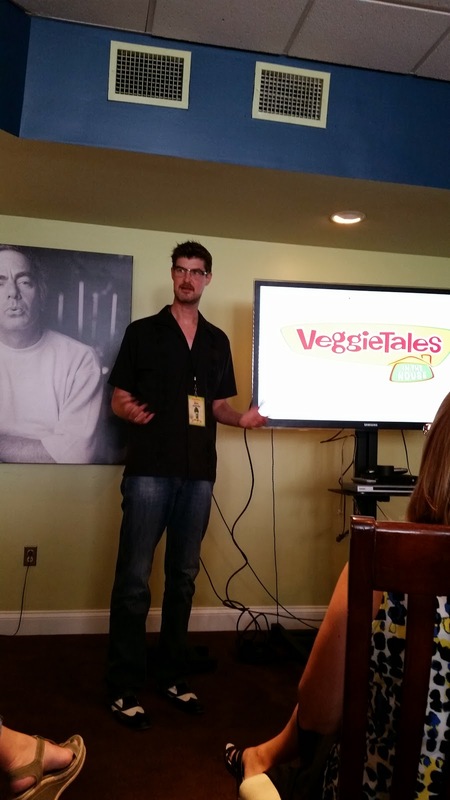 Keep your eye on Netflix this fall when they release the first bunch of episodes of the VeggieTales in the House show. If your kids are not familiar with the veggies, they will love seeing something so fresh and new. If they are familiar, the veggies facelift will be an exciting development for them, too! Be sure to check out all the news from VeggieTales and Big Idea Productions at their official Facebook page! Wanna Win? 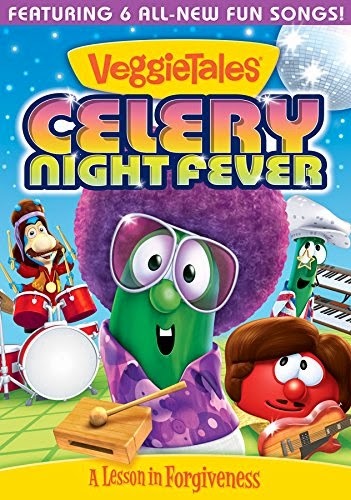 We want to bless one family with the new Celery Night Fever DVD. To be entered to win, just comment on this post with which of the new developments or fun VeggieTales facts we share above you are most excited about. You have until August 18th at 11:59 pm CST to get your entries in. One entry per person. Open to U.S. and Canada 16+. *Big Idea and Dreamworks hosted me at the blogger event via my participation in the Walmart Moms program. Opinions are my own.